Intelectus is supplier of choice for all CFA candidates, place your order below quickly and easily, and we’ll have your calculator over to you in no time. Intelectus is the supplier of choice for all CFA candidates, place your order below quickly and easily, and we’ll have your calculator over to you in no time. 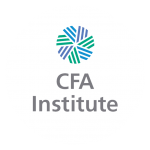 Find Out More About the CFA Program Shop Now!